"Urban farm" may sound like an oxymoron, but the concept has gone from being unimaginable to a solid trend in the local foods movement. An urban farm is, quite simply, a farm in an urban setting. 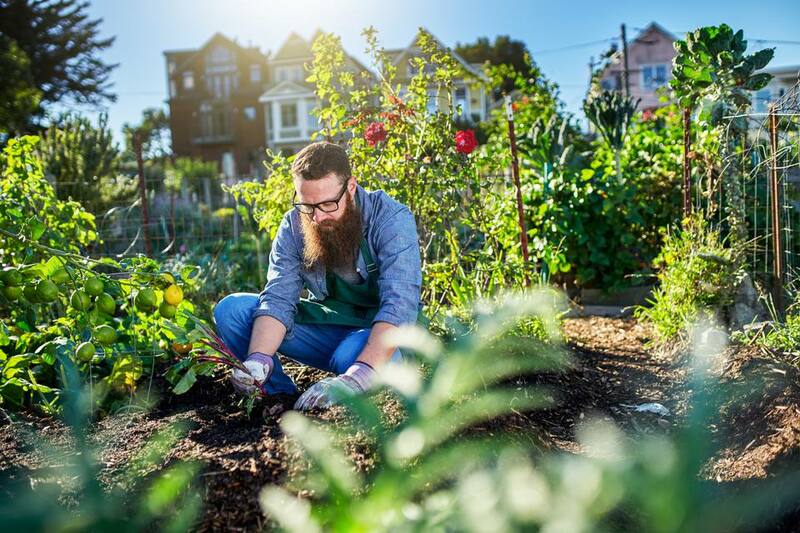 More specifically, an urban farm grows food in an urban area on land—usually either a backyard or a vacant lot, but sometimes neglected spaces such as street medians—that would not typically be dedicated to producing food. They are most often found in urban areas that have experienced some level of decline, where space is available and inexpensive. So, what makes an urban farm a farm and not a garden? Two factors tend to come into play. Many urban farms choose the term farm because they tend animals as well as grow plants. Chickens coops for eggs and/or meat, beehives for honey, and rabbit hutches for meat and/or fur are the most common urban farm livestock elements. Turkeys, goats, and even pigs are also raised on urban farms. The space needed to graze sheep or cattle/cows is too great for most urban farms, some suburban farms, however, have larger grazing livestock. Sometimes urban farmers see themselves as farms rather than gardeners because even if they don't have any livestock, they feed more than the household that tends the farm. They either sell or donate a significant amount of the food they grow. One can also do a simple internet search, of course, but a lot of urban farms don't have websites. An alternative method is to look around at local farmers markets. Some urban farms will have a stand at markets where they will sell their harvests. Or, ask around at farmers markets, since many people involved in the local foods movement will know about any local farms. This may seem obvious, but first and foremost you need a piece of land. You may also want to make sure you have permission to farm it. Second, you'll want to have the soil tested. In some urban areas, the soil carries enough toxins so growing food in it isn't the best idea. Ways around that roadblock include creating raised beds or doing a full-on soil replacement. Third, you'll want to make sure you have a basic understanding of gardening, or the planting, tending, and harvesting of the food you hope to grow. Having a plan, with a mix of annuals and perennials and perhaps even some fruit trees, that will be ready to harvest in a staggered way isn't the worst idea. Importantly, do your best to connect with other urban farmers, ideally in your own area but even from far away, for perspective, advice, and support.